Of course, I use notebooks and journals, which are great for keeping track of my own ideas and not so great for storing ideas I collect out in the world — materials culled from blogs, magazines, websites, and other mediums. I’ve created folders on my hard drive for storing images I find online. I’ve had manila envelopes for stashing articles and images cut out of magazines and newspapers. Folders, boxes, scrapbooks…it all gets pretty messy and disorganized. I’ve always wanted a way to keep everything in one medium (preferably electronic) and in one location. Pinterest has been an excellent way to save digital and online content. Pinterest updates its look. This is Pinterest, 2013. There’s more to it though, because you can also keep track of links with Pinterest. If you find an image on a website, you can attach the link to the image and pin them both together. So not only can you save images, you can also maintain links back to the source. The Pinterest plugin for your browser, which I highly recommend, simplifies the pinning process by automatically capturing the link to the source website for any images you pin. 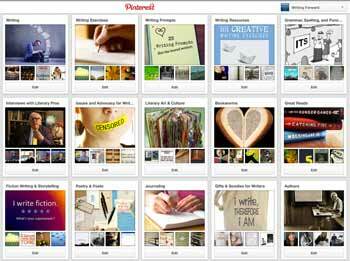 This allows Pinterest to function like a visual bookmarking tool. Start with writing-related boards: Collect writing tips, resources, quotes on writing (for insight and inspiration), or articles on the craft and business of writing. Make separate boards for different writing-related topics or stash them all in a single board. Make an inspiration board: You can post images of people, places and things that inspire you. It’s an excellent way to create a digital vision board! Character, plot, and setting boards: I see a lot of these from writers who are developing a work in progress and from authors who are published. Images are a great way to build a story. You can create a board for each project you’re working on or boards for various elements of your story (plot, world-building, characters). And if you’re not ready to share your board with the world, you can keep it secret, which means nobody can see it except you! Share your work: Create a board that features your writing, from your blog posts to your books! Pinterest is an excellent way to market your work. 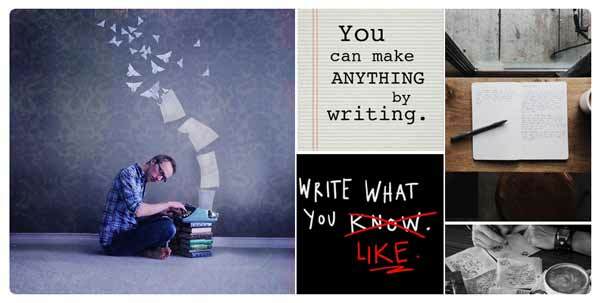 Writing Forward has a Pinterest page, where you’ll find lots of creative writing tips and ideas. I also wrote a post over at The Creative Penn about using Pinterest as a marketing tool for writers and bloggers. 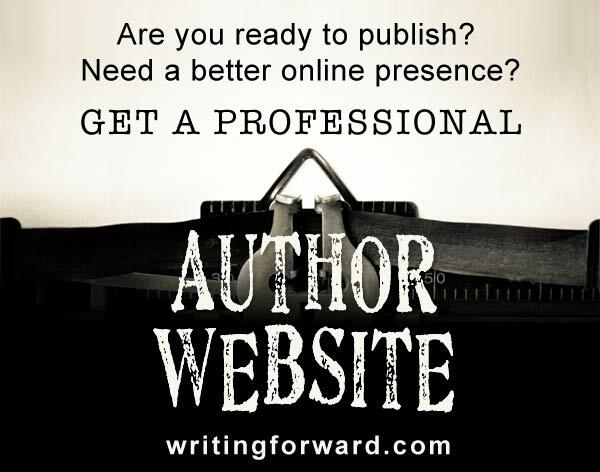 I hope you’ll check that out (and while you’re there, be sure to peruse the rest of Joanna’s site; it’s packed with excellent information about the business side of writing). Do you have a Pinterest account? 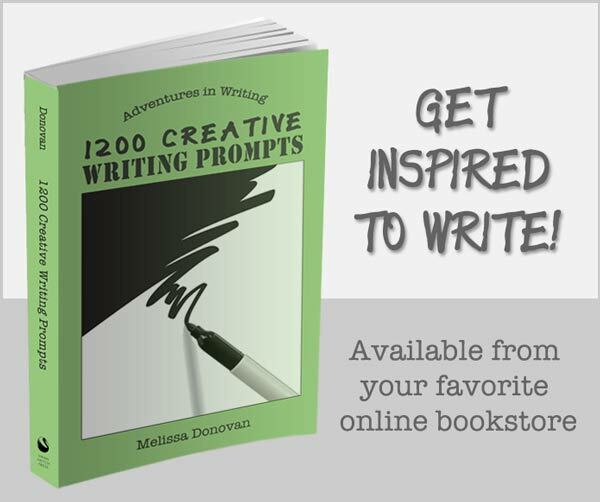 Do you use it for rounding up writing ideas? If you have any ideas to add about how writers can use Pinterest, please share them in the comments. Good luck with Pinterest. I hope you enjoy it as much as I do! Thank you for the insightful information about Pinterest. I am using Pinterest already, but as in anything new it takes a while to discover all the possibilities. I always enjoy your posts and look forward to each entry. It does take a while to learn the nuances of each social media network. I’m always figuring out new ways to use them, even the ones I’ve been using for several years. Thanks for your kind words, Lee. Keep writing! I use Pinterest to save images for my students to write about. I usually have them write about an image at least twice a week. Here’s my board http://pinterest.com/artfling/images-for-writing/. All of these make me want to tell a story or they evoke a strong mood/tone. Hi Art. Your link didn’t come through so I fixed it. Here’s a tip: instead of typing the link into comments (or anywhere else), copy and paste it from your browser window. Great board, by the way. I come across a lot of teachers on Pinterest who are using it to collect tools and resources for the classroom. Great ideas. Love the idea of using pint rest to organize blog posts for writing! Me too! I once used bookmarks to save interesting articles or I would just save them to my computer’s hard drive. Before that, I printed them out (that was a long time ago). Now I use two methods: for articles without images, I use Evernote, and for articles with images, I use Pinterest. Now all the articles and pages I want to save are in two locations that I can access from anywhere, which has been awesome! Thank you for sharing these tips. Pinterest has more use for me now aside from culling pictures of cats I find across the web. I hope you don’t mind if I borrow some articles and use them for discussion on our forum. Credit goes to you, of course. I’m glad you found new ideas for Pinterest. I took a look at your forum and it looks like you’re using links, so that’s fine (we don’t allow full online republication, but links and excerpts are great!). Enjoy! I use it as a way to publicize my book. I make pins that depict scenes in the story and that contain a quote from that scene (Sample below.) The book is a Civil War era time travel called On the Border of Time. Yes, Pinterest offers lots of ways to gather and store ideas. I’ve used it for developing my characters and story world too. Thanks for chiming in!